On paper it seemed like a strange move. From barely playing for Bury in the second half of last season as they finished bottom of Sky Bet League One, Chris Maguire found himself heading to Sunderland in the summer. The Scottish midfielder also makes no secret of how unhappy he was at Gigg Lane, and the switch to the Stadium of Light has helped him rediscover his passion for the game. "I'm loving it here," he told Sky Sports. "I've got my buzz back for the game and it's been brilliant. The fans and everyone here have been great with me and it's up to me to repay that on the pitch. At the moment I think I'm doing that. "I didn't have the buzz [at Bury] because I didn't like it there, it was as simple as that. I didn't like the environment, it wasn't a good fit for me and it was one of those where I woke up every day and didn't really want to go into training because I wasn't enjoying it, and it was pointless going in because I knew I wasn't going to play. "I'm delighted to have gotten away from there and to kick-start my career again. In the summer I had heard that Sunderland had an interest, so I got my agent involved and came down to the club to have a look about the place. As soon as I did, this was the only place I wanted to be and thankfully I got here. "If you asked any player in League One, or even in some teams in the Championship, when Sunderland come in for you it's an obvious move. They've had a ropey couple of seasons but it's a massive club and it now has the right people in charge who are looking to go forward. It's something I want to be a part of." 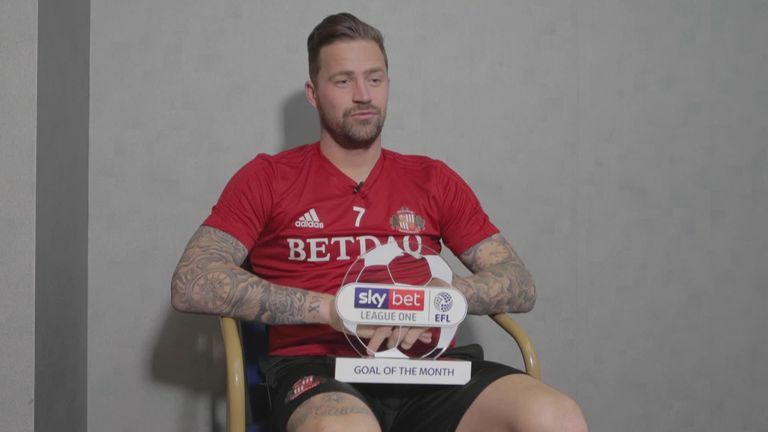 Sunderland's Chris Maguire has won the Sky Bet League One Goal of the Month award for September. Sunderland have won four on the spin in League One and currently sit third in the table, three points off leaders Portsmouth with a game in hand. Maguire, who won the Sky Bet Goal of the Month award for September, has played a key role in their run and has also netted in their last two games. After back-to-back relegations, Maguire believes that manager Jack Ross deserves huge credit for the role in the club's revival. "It's the first time I've worked with him but I actually played against him in Scotland a couple of times," said the midfielder. "He's been brilliant with me and all the boys enjoyed working with him. "He gives us the freedom to play and doesn't care if we make mistakes. We've got a few different formations that he's put in place but everyone always knows their role. He's got the backing of every player here." The fans at the Stadium of Light have instantly taken to him as well. He has swiftly earned a new nickname: 'The King'. "I don't know where it's come from! But there are a lot of worse things to be called, I can assure you of that," he joked. "I've been getting stick for it from the boys but it's just a bit of banter. I'm sure in time there will be some sort of crown popping about somewhere. Hopefully if we win the league it will come out then!" 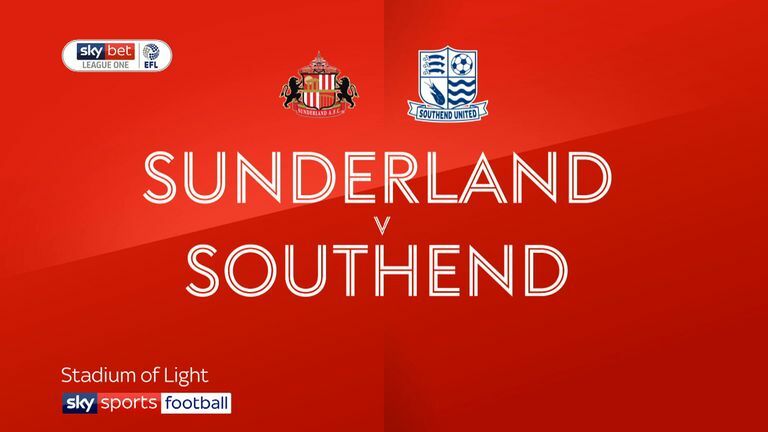 Highlights of the Sky Bet League One clash between Sunderland and Southend. Winning League One and earning promotion back to the Championship is one goal for Maguire, the other hope is to get himself back into the international picture. It is not often players from the third tier make it into the Scotland squad, but he believes Sunderland is a big enough platform to gain the attention of Alex McLeish. "I've got two caps but I don't want to finish on that," said Maguire, who last played international football in 2011. "To get recognised to play for your country is a great honour and I'm no different to anyone in that respect. "Maybe in the next last few years I've not been recognised because I've played for so-called lesser teams, but at a club the size of Sunderland you would think people would be there to watch and take notes. "It's still very much in my thoughts to get into the set-up again."